International Journal of Research in Health Sciences,2015,3,2,321-325. 1-Senior Resident, 2-lecturer, 4-Post Graduate student, 5-PostGraduate student. Depatment of Obs and Gynae.3-Assistant Professor, Department of Ophthalmology, UPRIMS and RESEARCH, Saifai, Etawah, Uttar Pradesh, INDIA. This is a prospective interventional case series performed in the patients attending in opd of ophthalmology, UPRIMS & R SAIFAI over the period of 1 year. The detailed history, general and ophthalmic examination done on 24 selected resistant corneal ulcer patients and then The amniotic membrane transplantation done in these patients. The subsequent follow up done at the intervals of 1 week,1 month, 3 months and 6 months. Results showed that the amniotic membrane uptake was very good and overall failure rate was very low. 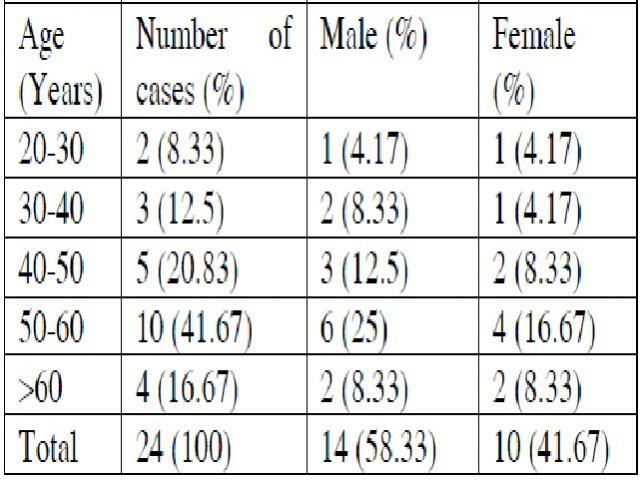 All the patients included in the study were stain positive before procedure and 83% of them converts to stain negative after 1 month of transplantation. The vision not improved in early postop period but improved slightly higher than preop value on late follow-ups. Recurrence of keratitis was not present frequently. The beneficial effect of amniotic membrane was due to growth factors, laminin and fibronectin. Amniotic membrane also had mechanical factor to protect regenerating epithelium. It promotes faster healing (epithelization) of ulcer in comparision to other treatment modalities. Hence amniotic membrane transplantation proved a boon for resistant corneal ulcer.